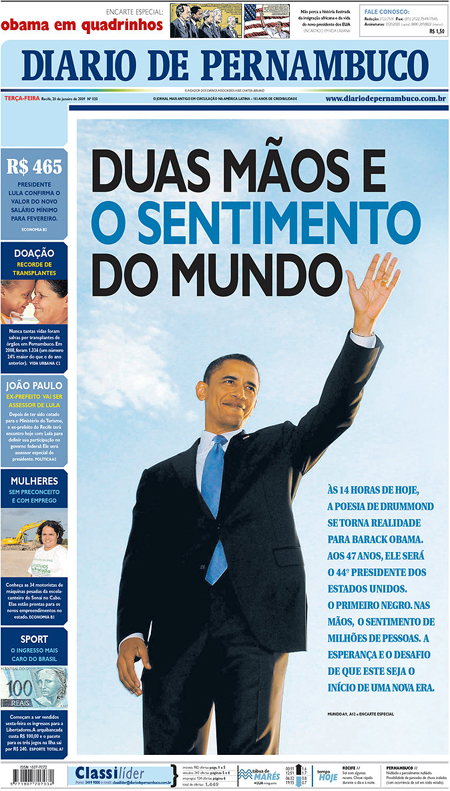 Above: Diario de Pernambuco, from Recife, Brazil. Above: Primera Hora, from Guaynabo, Puerto Rico. 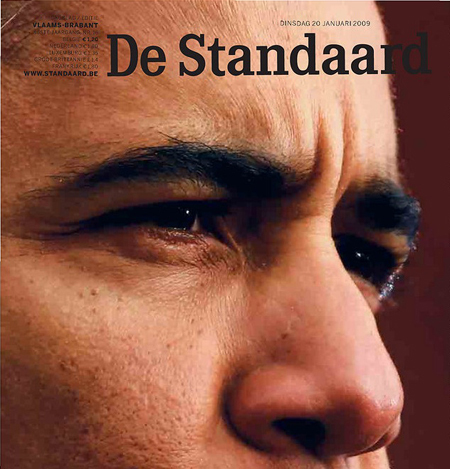 Above: de Standaard, from Brussels, Belgium. 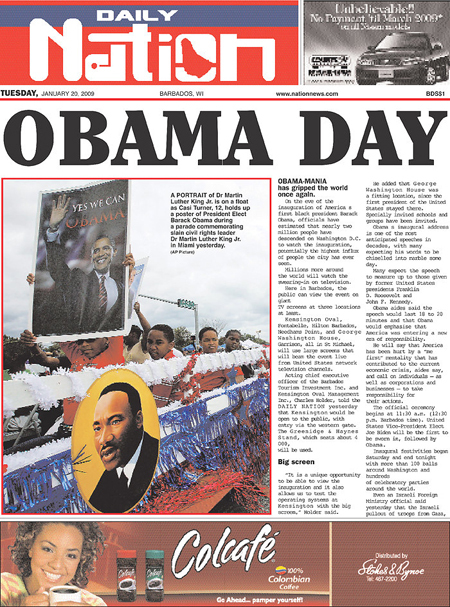 Above: The Virgin Island Daily News, from Charlotte Amalie, Virgin Islands. Above: Nation News, from Bridgetown, Barbados. 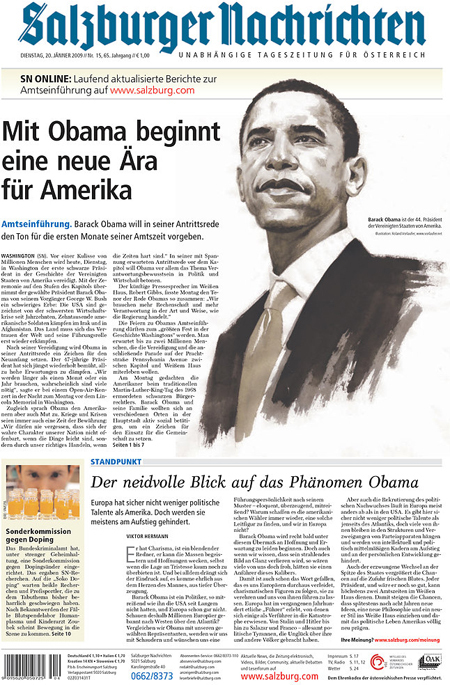 Above: Salzburger Nachrichten, from Salzburg, Austria. 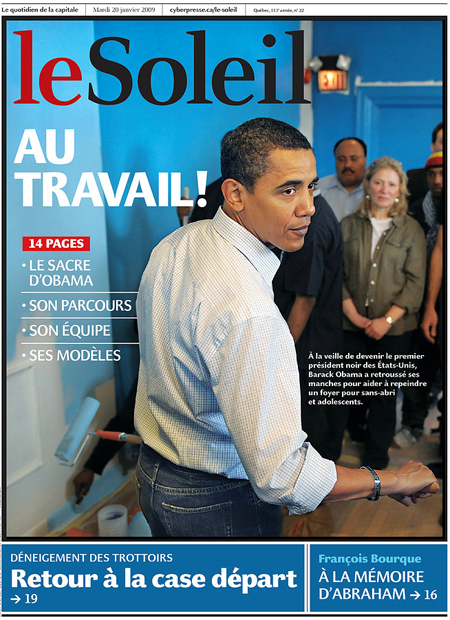 Above: Le Soleil, from Québec, Canada. 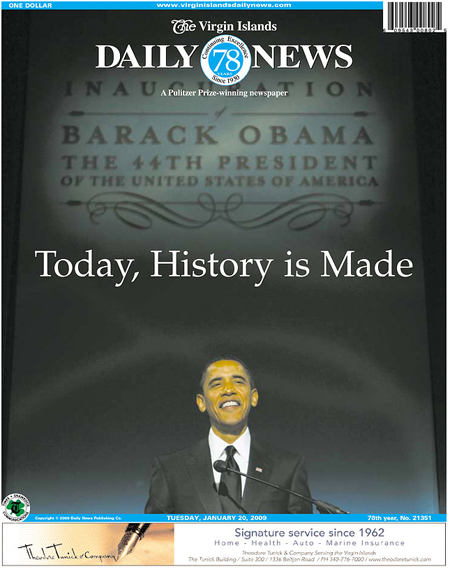 Check in with Newseum daily. Front pages and links to newspapers around the world. This entry was posted by Erik Brandt on Tuesday, January 20th, 2009 at 9:46 AM	and is filed under Aktuell, Education, Globalization, Graphic Design, International, News Links, Newspaper Front Pages, Photography, Typografika, Typography.